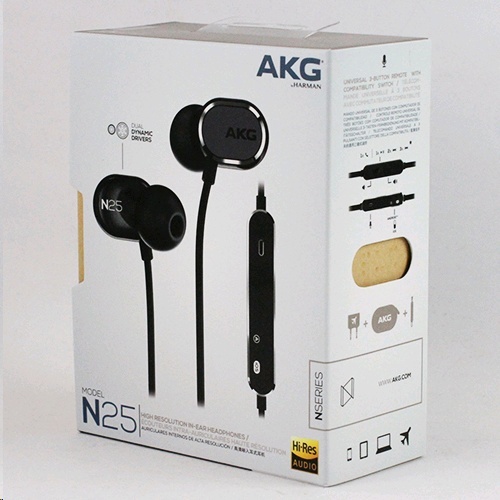 AKG N25 headphones place awesome Hi-Res audio right between your ears, with two perfectly tuned dynamic drivers providing a warm bass response, as well as rich mids and crystal-clear highs. 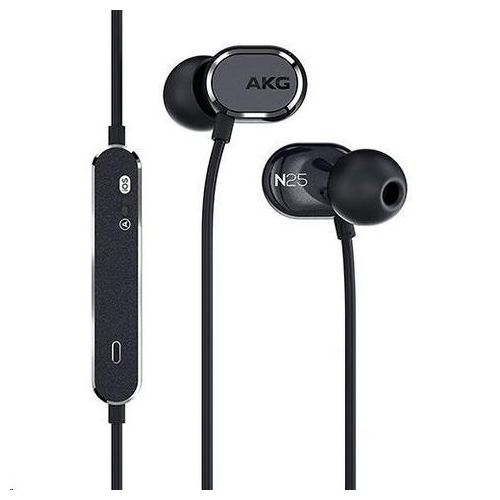 But while these are engineered for award-winning sound, they’re also designed for comfort. The acoustic tube is tilted to take the shape of your ear, and super-soft silicon ear-tips (in 4 different sizes) ensure the headphones fit snugly. Attached to this comes a tangle-free fabric cable with a universal remote/ microphone that puts playback and call controls right at your fingertips, keeping you connected with all your music.